The story of the Perry Mansion starts with Howard Everett Perry, a prominent Cleveland and Chicago businessman, who won some isolated desert property in a New England poker game. Over the next few years he repeatedly received offers to buy this arrid wasteland and became curious. 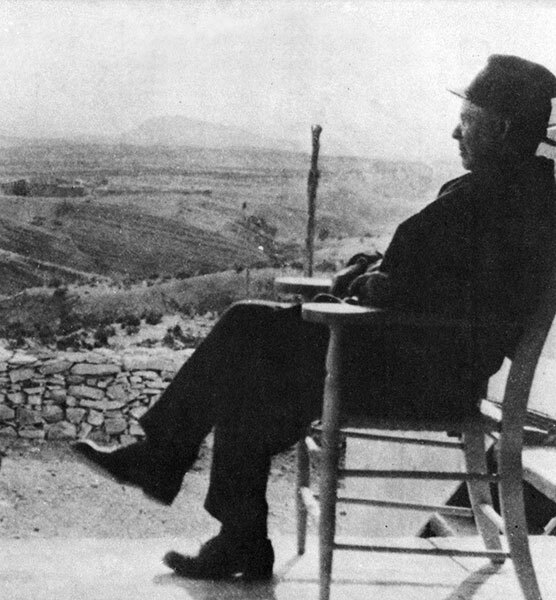 Perry visited the Big Bend and learned that his new land in remote Terlingua, Texas, was rich in cinnabar, the ore of mercury. Taking the news seriously, this avaricious businessman travelled to Almadén, Spain, to study the most successful mercury mine in the world. Upon his return to Terlingua, Perry created the Chisos Mining Company, incorporating it in 1903, and registering its principal office as Augusta, Maine. 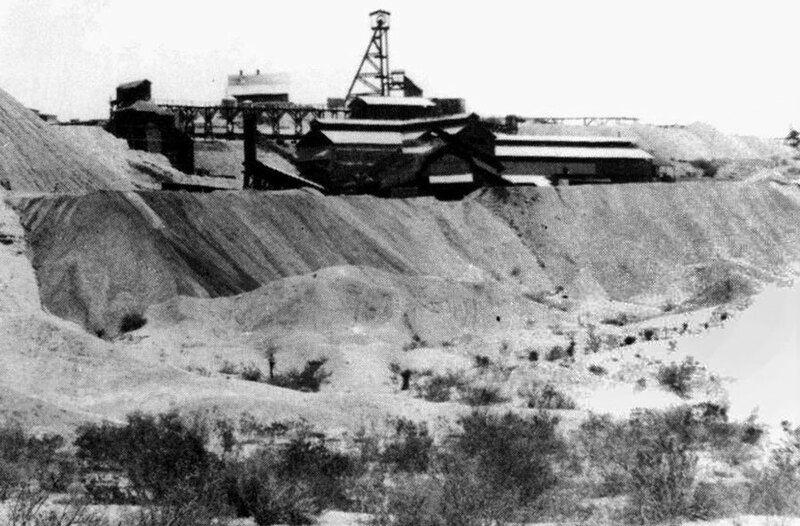 Mercury was already being mined throughout the area, but Perry's mine had the richest deposits. Mercury was in great demand and the nearby population of Mexico provided eager workers for his new project. Known at the time as a businessman with the ethics of a pirate, Perry had no problem exploiting the labor force. 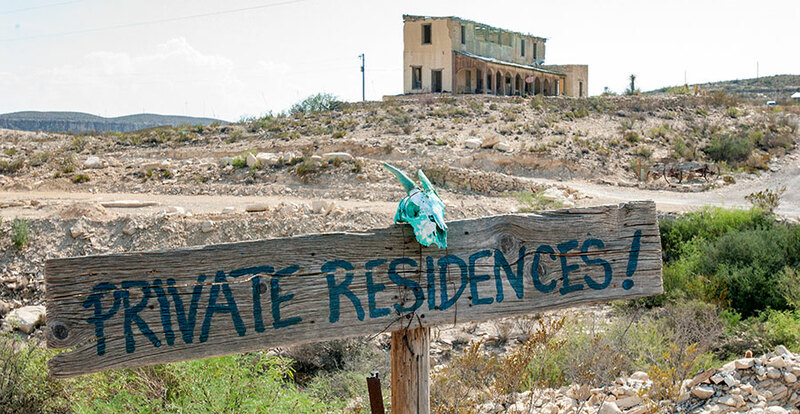 In a short time, the little non-town of Terlingua grew to a thousand or more. In a period of history known for robber barons and other greedy captains of industry, Perry's business practices were often at odds with the more amicable tactics of the locals as he ruled over politicians and officals throughout the Big Bend. Life was particularly hard for his workforce, but Anglos had the better administrative jobs, better homes, and more respect. The laborers worked seven day weeks. Water was rationed. Conditions underground were dangerous, sometimes fatally so, and without ventilation, extremely hot -- horridly hot -- at best. While "El Patron" was respected by his laborers for providing work at a time and place when it was rare, he was not beloved. Perry was a short man and the Mexican workers quickly labled him with alternative nicknames, "El Perrito," meaning "the little dog," and "Chapo Perez." On the hill behind the company store, The Chisos Mining Company offered free housing to laborers, but they were hovels made of stacked rocks. By 1906, business was booming and Perry's mine was supplying twenty percent of the nation's quicksilver. Relishing this prosperity, Perry wanted a suitable home for his wealthy Chicago bride, Grace Henderson, and ordered the construction of a mansion far beyond all local comparisons. Crowning a hill overlooking his dusty empire, the mansion took shape. With a design inspired by Moorish architecture, it boasted nine bedrooms and a ninety foot long front porch adorned with nine elegant arches. And, all this magnificence was sitting atop the only wine cellar in the region. Upon the mansion's completion, Mrs. Perry was invited to join her husband in their new abode. The journey was difficult at the time, just to reach Marfa by train from her elegant estate in Portland, Maine. After that, it was a perilous two-day ride through the Chihuahuan Desert on a freight wagon drawn by four too-feisty mules. Legend says that Mrs. Perry spent a single night in the mansion and then called for her mule-drawn carriage, saying emphatically, "I've seen enough." She high-tailed it back to her Casco Bay estate in New England and never returned. The Chisos Mining Company mill and smelter in 1915. The truth is that Mr. Perry never spent a lot of time in the mansion either. 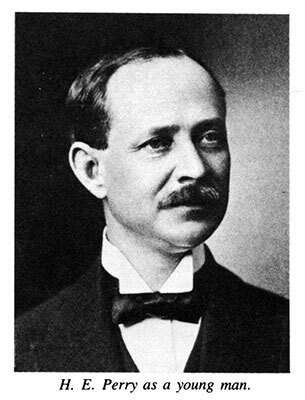 He preferred to manage the mining operations from his offices in Chicago, Illinois, and Portland, Maine. A pioneer of modern telecommuting, he managed via semiweekly telegraphed reports from on-site subordinates (with essential information in secret code) and replied with instructions forthwith. 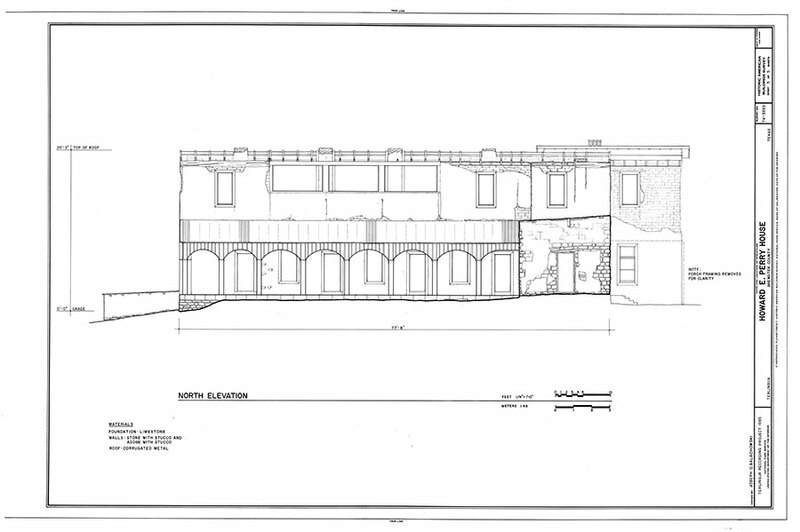 By 1913 there was a single telephone in Terlingua, in the office of the Chisos Mining Company. One reason Perry stayed away was that he was always apprehensive of his neighbor at the time, a local fellow named Pancho Villa, and his band of reknown. The Chisos Mining Company paid laborers in cash at the end of each shift -- in U.S. silver dollars -- and Perry knew that his payroll shipments presented a likely target for Villa's raiders. He was aware of rumors among his Mexican laborers that Villa sometimes visited the mine, lurking and watching. A little-known asset of the mansion was its sturdy construction, with walls on the ground floor that are two feet thick, thus making the mansion a formidable fortress in time of need. In fact, on the top floor of the mansion, in the area that is now "The Great Room," perched a fully functional Gatling gun, always at the ready -- just in case. Indeed, Howard E. Perry planned ahead. Just like Batman, Mark Zuckerberg, and Hogan's Heroes, he had built-in secret escape chutes under the mansion. A hidden tunnel would lead him to safety some distance from the mansion. From there he could escape in his car -- one of the very few automobiles in the area -- probably fleeing to General "Black Jack" Pershing's army encampment a few miles away in neighboring Lajitas. Perry sometimes ruled the mine from his mansion's 90 foot long front porch. Such a wonderful hilltop mansion should provide stories of fancy balls and legendary dinners filled with distinguished guests. Terlingua, unfortunately, was never the place for such events. However, because Mr. Perry was so often away for long periods, the Mexican ladies who staffed the mansion took many opportunities to indulge in their own secret fiestas. The Chisos Mining Company in its heyday -- 1922. 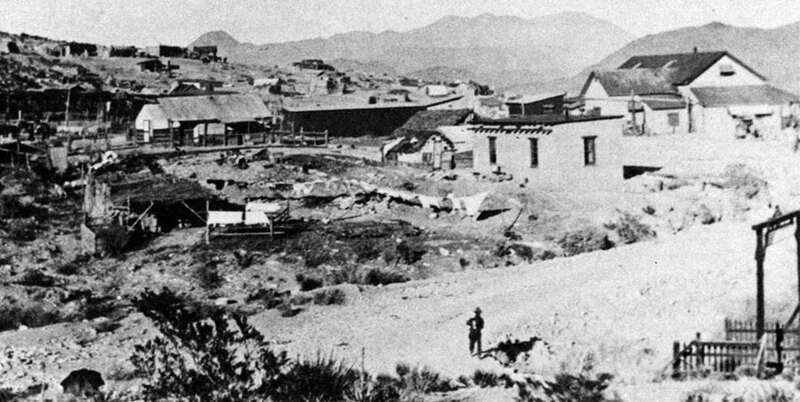 Terlingua grew as the mine prospered, eventually developing into a village of several thousand. Perry operated a company store, the only general store within a hundred miles, where his work force received their daily pay and then spent it on the necessities of life in the desert. In time, he built an ice making plant, a cantina, the Chisos Hotel, an ice cream store -- the Oasis Confectionery Shop, the Santa Inez Catholic Church, several schools, a post office, the obilgatory jail, and for movies, the Chisos Theatre (now The Starlight Theatre). And, he filled a cemetery, which has become one of the most photographed landmarks in Texas. By 1934, the mine had shipped over twelve million dollars of mercury, but the good times would not last. The first bad sign was Perry losing a lawsuit because among his forty miles of tunnels at many levels below ground, one tunnel extended far into the adjoining Rainbow Mine. Perry tried to expand, buying several other mercury mines, plus investing in a silver mine in nearby Shafter and a gold mine in Canada. By 1943, the world's mercury supply was ample and as the markets and prices declined, The Chisos Mining Company began to fail, ending in bankruptcy. Howard Perry died in 1944, on a train bound for a Florida vacation. His mansion fell into disrepair, and despite the occasional visitor/squatter, the structure began to decay in the hot desert sun. The mine went through several owners and degraded into an empty ghost town. 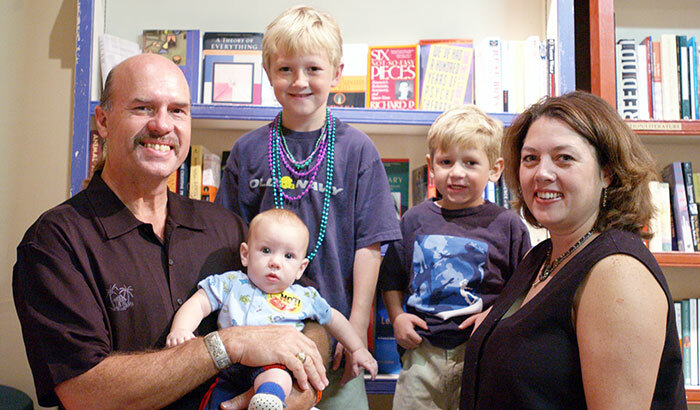 It was eventually purchased by local legend Rex Ivey, and is now owned by his son, Bill. The Ivey family began renovation of the Perry Mansion in 2015, and is delighted to reopen this historic icon to the public.